The Bellevue Botanical Garden Society (BBGS) was founded in 1984, by Iris and Bob Jewett, with the idea to build and support a free public botanical garden for their local community. It came to fruition when Harriet and Cal Shorts generously donated their home and 7.5 acres to develop the Bellevue Botanical Garden (BBG). The Society was then incorporated in January 1986, as a non-profit organization. Beginning in 1992, and in partnership with the City of Bellevue, more than 45 acres has since been added to the Garden. Today, the 53-acre Bellevue Botanical Garden is a world-renowned community treasure for everyone to enjoy. The Bellevue Botanical Garden Society, governed by an all-volunteer board of directors, is a 501(c)(3) non-profit organization incorporated in the State of Washington. Various Society committees are headed by board members. Some of the major committees include education, finance, outreach, events, and fund development. In addition, numerous sub-committees handle more specific projects. To assist in furthering the Society’s mission, paid Society staff work on-site at the Garden. The Society has a large cadre of dedicated volunteers who help present many of the low-cost horticultural classes, lectures and events for children and adults. Operating funds are raised through membership dues, events, and donations. It also seeks funding through grants and sponsorships. Some of the special events the BBGS hosts include the popular Mother’s Day Social, the fun summer Arts in the Garden, and the delightful wintertime Garden d’Lights. 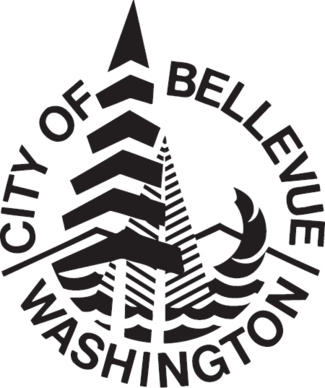 Perpetuate and further enhance the Bellevue Botanical Garden as a learning resource in partnership with the City of Bellevue. Through education and community involvement, we inspire all generations to advance Northwest horticultural knowledge, and preserve natural beauty and our local ecology. There are various membership categories, including individual membership, family membership, supporting membership, contributing membership, and Circles of Giving. Visit our membership page for information about membership benefits and additional details. Donations and sponsorships in various categories are also accepted. Visit our Donation page for more information.